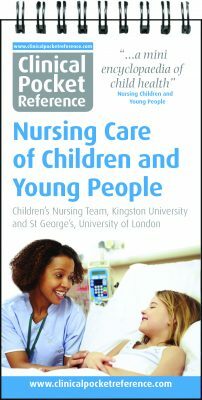 Compiled by a distinguished team of lecturers and nurses from Kingston University and St Georges, University of London, this new resource provides universities, NHS trusts, individual students and nursing practitioners with an essential complement to current texts, teaching materials and multiple websites. Delivering: clinical knowledge and confidence for individual students and practitioners, added value for educators, optimal support to staff for employers. Available in robust, portable print format or as smartphone optimised download for flexibility and rapid access at all times. For further information or to request inspection Copies ( Universities/Trusts ) please Use CONTACT page. 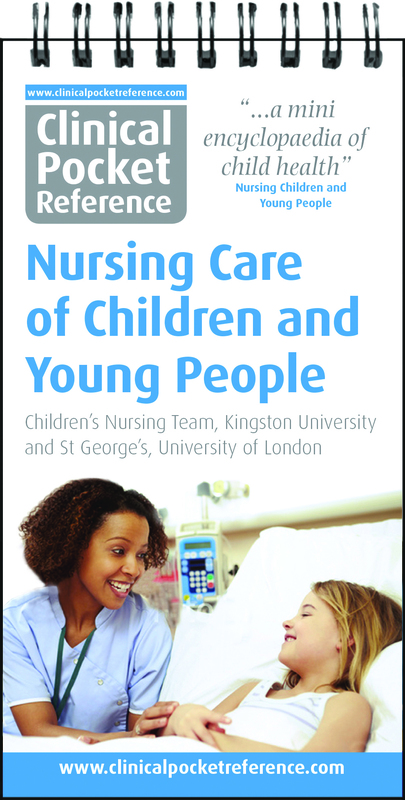 “This is a welcome addition to nursing children and young people learning resources. It is a pocket sized, wipe clean, mini encyclopaedia of child health. It is well written, by credible experts and logically presented. The contents are applicable to any care setting.